If you have a beating heart, you pee in your wetsuit. 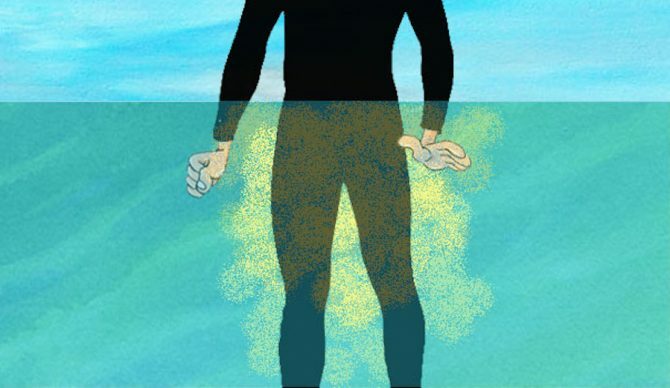 Scientists are aware you urinate in your wetsuit. While many people feel like this is weird, it’s completely natural. It’s the norm amongst surfers – even if they don’t all admit to it. As a waterman, you’re experiencing a unique underwater phenomenon called immersion diuresis. Don’t panic though. There is a totally legit scientific reason for this. Immersion diuresis, which literally means “water loss due to immersion,” is the culprit behind that urge to pee when you are in the water. Whether you are surfing, freediving, or just going for a swim, the lower temperature and increased pressure of the surrounding water makes you pee. It’s really as simple as that.